I just bought this mascara, so I haven't tried it on many times. I have heard lots of great reviews on this mascara from Benefit, so I thought I would try it out. Lately I've used Benefits They're Real mascara and absolutely loved it. This mascara is really good as well. The downside to They're Real is that it is very hard to remove, where Roller lash is a lot easier. It also lifts and curls your lashes perfectly. Benefits mascaras are a bit pricey but really worth it. I would definitely recommend it! Clean perfumes are a must for me, they are so fresh and have a lovely scent. Shower Fresh is my favourite at the moment. It really gives the shower fresh feeling and smell. I have this goal to try out all of Cleans perfumes (may take a few years though). 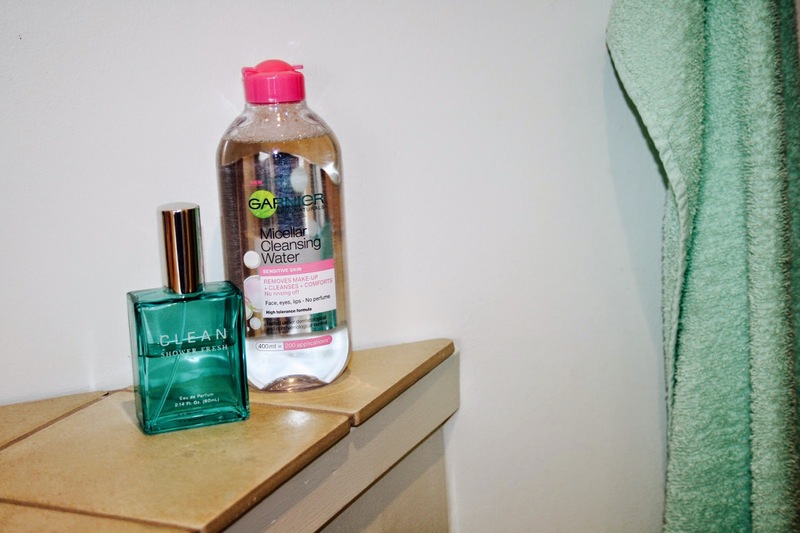 I recently bought Garniers Micellar Cleansing Water, because I also heard great things about this. I kind of feared that it would be very harsh on the skin, even though it's for sensitive skin, but it wasn't at all. It is great for removing makeup and leaves your skin soft and clean. 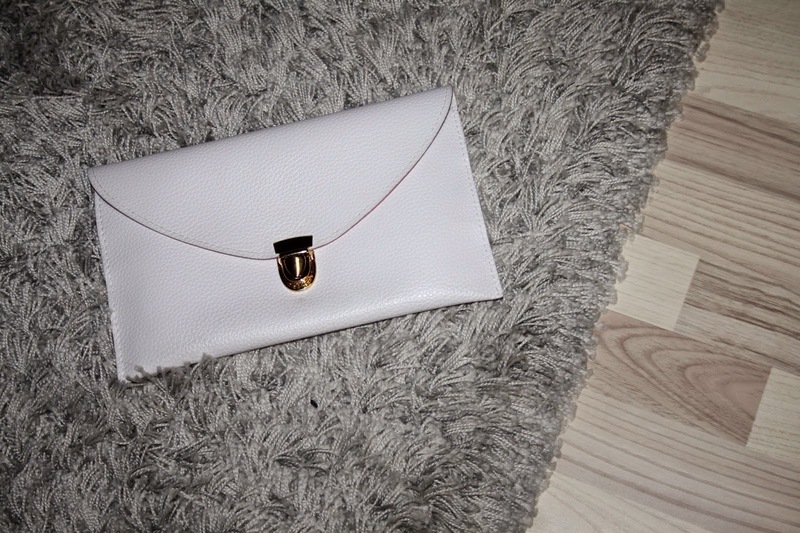 I bought this clutch for my gala evening to go with my black dress and black heels. I loved the contrast of black and white. I love that the clutch is very capacious and practical. It goes with almost everything and the price was a bargain. I'm loving this nail polish at the moment. 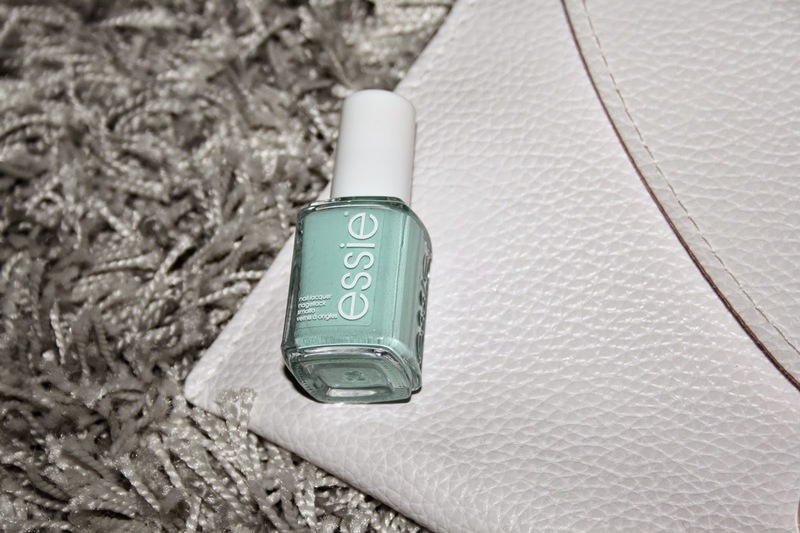 It is lovely for summer and the mint colour is beautiful. Also Essies nail polish never goes wrong. This is kind of random and non fashion and beauty related, but it is a part of my favourites at the moment so I thought I would mention it. I have been watching One tree hill for a few months now and just finished season 6. Even though it is the millionth time I am watching this show, it is still one of the best tv-shows ever. I will never get tired of it, even though the last couple of seasons aren't my favourites. I just love the characters and the drama in every freaking episode. I also love reading magazines, especially Elle. I can't wait for summer to lay out in the sun and tan while reading a bunch of magazines. This was quite a longer post than normally but I hope you can get some inspiration out of it. Talk to you guys soon! 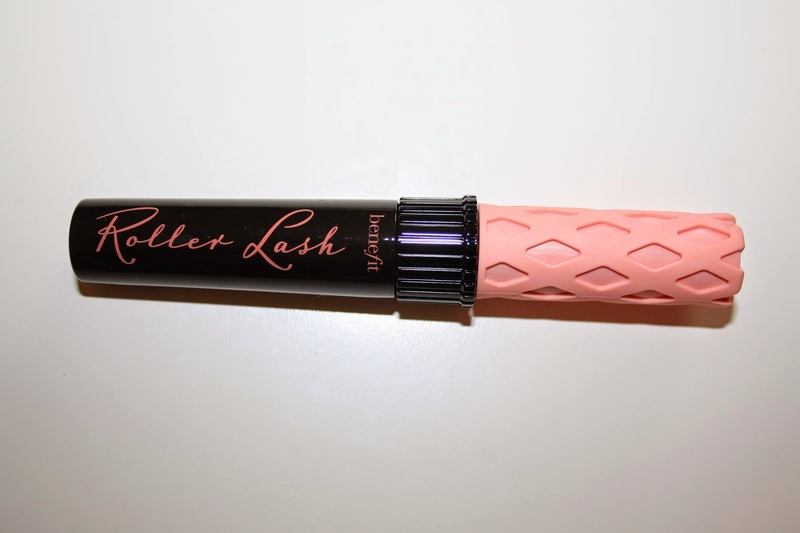 I still sadly haven't got around to trying the Benefit Cosmetics Roller Lash but it's on the top of my 'next to try' list. It's great that it still has such great reviews even after the first few weeks of launching. I can't wait to jump on the hype. I hope you have a great evening my love.